The Filipino-American comic is set to perform for the very first time in Malaysia on 1 July. 1. Hi Jo Koy! There's only less than a week to go 'til you step foot in Malaysia for the first time, so what are you looking forward to most when you're here? 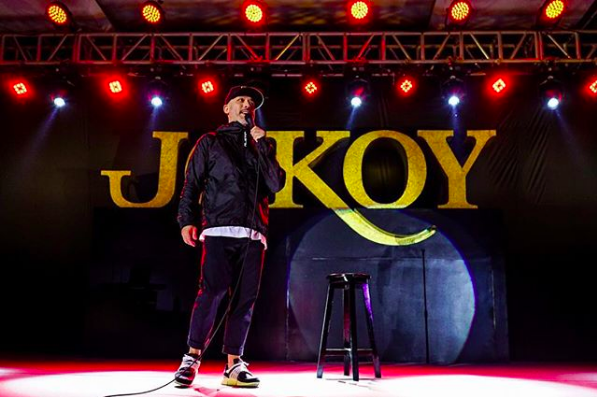 Jo Koy (JK): Hands down... finding the best place to eat in Malaysia. I’ve never had Malaysian food before and I'm looking forward to experiencing it for the first time! 2. You've been in the scene for over two decades, having started in 1989. What was the one pivotal moment in your career that made you think, "Hm... I think this comedy thing is gonna work out"? 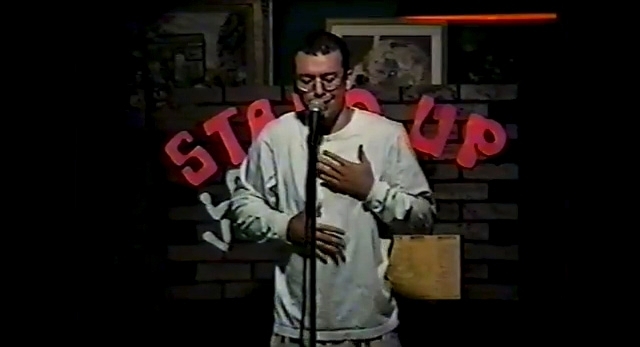 Jo Koy performing in 1993. JK: It had to have been when I got on The Tonight Show With Jay Leno as I was still working at Nordstrom Rack stocking shoes. When I came on the show, they were running behind schedule. I was told to stand where I was at after finishing my set and Jay would say goodnight to end the show, but I ended up getting a standing ovation and Jay waved me over to come to the couch. I told him, “You told me to stay on my mark,” and he said, “You got a standing O, I didn’t even get that, of course I have to bring you to the couch.” He asked me a couple questions at the couch and then said goodnight. It was after that I quit my job at Nordstrom. 3. We read that you had to self-fund your special before selling it to Netflix. What's the story behind that, and how did it eventually get picked up? JK: I originally went to Netflix to pitch them my special in 2015, but they turned me down and told me to come back in 2018 as they already had a full roster. But I knew I needed to make this special now as the jokes weren’t going to be relevant, 'coz I was telling jokes about my son who was 12 years old at the time. He would've been 15 if I waited 'til 2018, so I talked to my manager and he said, "You have the money to do it, so let’s just go for it." So we shot the special in April of 2015 and presented it to Netflix at the end of the summer. It wasn’t until November of that year I got the call saying that not only did they want to buy the special, but that they would make it a Netflix Original and release it in March 2016… and then I cried. JK: They love it and enjoy hearing it! At this point they are used to it, and I think my son enjoys it now when he hears his friends repeating some of the jokes at school. 5. Tell us the one thing people would be surprised to know about you. JK: That I love cereal! I could eat it all day, every day. Especially Lucky Charms and Frosted Flakes. Thanks for chatting with us, Jo! Before we go, anything you'd like to say to your fans in Malaysia? JK: Be prepared to laugh! I’m so excited to make it out to Malaysia and I can’t wait to see everyone!